잠깐 자리 비웠다가 now i'm back to rock the thrown! I vacated for a while but now I'm back to rock the throne! jamkkan jari biwottdaga now i'm back to rock the thrown! we about to have a good time so. Q-1. What kind of character were you in your school days in America? A. I was really shy (laughter) and couldn't do well in front of others. At that time I dreamed of being a chef! Q-2. How do you build up your muscles? A. I'm not one who puts on weight easily and I always eat things that are good for my body. And everyday for two hours at a time I do what training I can. Q-3. Japanese food you like? A. Ramen and Sushi! Since I was young I liked Japanese food so even when I was living in Thailand I went to Japanese restaurants often. Q-4. What's your impression of Japanese women? A. There are a lot of cute people. It seems like everyone has a lot of aegyo. Q-5. So is there a Japanese artist that you like? A. I've really like Utada Hikaru for a long time. Her singing voice in "First Love" is really good. Q-6. What kind of woman is your type? A. Because we're really busy women who are very understanding are good. And since my mom would always tell me "rather than someone who'll become a good wife, look for someone who'll become a good mother" I think that's my ideal type. Q-7. Pretty soon it'll be Christmas, what is your ideal Christmas date? Q-8. Out of 2PM, who do you think is cool? Q-9. Out of all the members what do you think you're the best at? Q-10. Since Nichkhun is there what kind of group is 2PM? A. The member's individual styles are really different. We have sincere times and earnest times and fun times too, we're a group with a lot of variety! For more info on Gallup Korea go here. Basically the Gallup poll/survey results shows how popular/recognized a group/artist is in Korea. 2PM was on the 3rd spot for 2009 and the 2nd spot for 2010. Recent drop in rank could be attributed to their lack of activities in Korea this year since they've been concentrating in Japan. For the Song of the Year/Song Ranking category, Again & Again was on the 4th spot for 2009 & 2AM's Can't Let You Go Even If I Die was on the 3rd spot for 2010. 2011’s 10 biggest singers according to Gallup? Girls generation wins first place for a third consecutive year. Korea’s Gallup took a poll of Koreans age 13-59 (3,401 people) asking them to choose the best 3 singers of the year. With 26.1% Girls Generation won first place for the third year in a row. 2. Big Bang (8.2%) – After 3 years their new song “Tonight” still had a good reception. Even with all their incidents this year their popularity is strong. 3. Jang Yoonjung (6.9%) – With his Hawaiian style trot song “olleh” he grabbed this spot. 6-9. 6th place and 8th place, Im Jaebum and Park Junghyun also debuted a long time ago and regained popularity through “I’m a singer”. 1. IU - “Good Day” (3.9%) It was also the most sung song in noraebangs. The top 5 songs of 2011 were dominated by girl groups this year. Sixth place went to Big Bang with “Tonight”, then seventh to Infinite’s “Be Mine”. Eighth went to the year’s most downloaded music video, Wonder Girls’ “Be My Baby”. Ninth went to Super Junior’s “Mr. Simple” and tenth went to Kim Bumsoo’s remake of “Please”. This year’s best rookie male group went to Infinite with 5.8% and best rookie female group went to Dal Shalbet with 4.2%. What is campus life of busy celebs like? Nowadays, more and more celebs are seeking to balance their work with their study. Taecyeon of 2PM, current junior business major at Dankook University(abv.Dan U), is of them. Taecyeon suddenly excuses himself from the busy preparation site of an upcoming gig. We meet him in a lecture room at Dan U. He has attended school today to take a business strategy exam. While he was walking towards the lecture room after getting off from the vehicle, Taecyeon's eyes were fixed on his revision notes all the time. When the exam session was over, we got a chance to sit down with Taecyeon to have a chat about his campus life. Q. Have you studied enough for the exam? Were you nervous? 택: To tell the truth, I haven't. I gave my best, though. Since I'm not able to attend the school that often, I tend to miss most of the classes. However, I try to catch up with my studies with the aid of the e-learning campus. Exams always makes me nervous, whether I've studied a lot or not. Q. Do you have any regret regarding your school life? Q. You recently shot a Dan U promo video, how was the shooting? 택: Last August, I shot a promo video with some senior and junior students. Even though it felt a bit strange to shoot something alone without other 2PM members, it was still fun. The students that shoot the video with me made me feel at ease, so the shooting went well. I had to take a two year leave of absence from school for professional reasons, thus it was good to spend some time with my Dan U friends before returning to school. 택: I'm spending much of the time abroad these days. I've been going on the Asia tour and shooting Japanese drama, "99 Days of My Star and Me." However, I'm planning to attend classes and hang around with my friends at the campus when I'm free of schedule. Last August, Ok Taecyeon made his cameo appearance in the Dan U promo video shot at the campus. Taecyeon, assuming the role of the mood-maker, openly chatted with and took pictures with other undergraduate students at the filming set. He also has agreed to appear and sing in the promo music video that is currently in production. Despite his busy schedules, Taecyeon attends school when he doesn't have any schedule. One could learn a thing or two from his professionalism and mentality of not neglecting his duty as a student. Q01) In 2PM, what type of character do you carry? First of all I'm responsible as the main vocal. And I'm also a mood-maker in order to liven up the atmosphere for everybody! I am from Daegu at the south side of Korea, using Daegu satoori I'm be able to make (members) laugh. It is similar with Kansai dialect. Q02) What do you want Japanese fans to call you (as a nickname)? Call me panda! Because I have drooping eyes, we look alike right? Since a long time ago my friends call me by my English name, Jun. For reference panda is also pronounced as panda in Korean. Q03) What is the latest thing that you devoted yourself into? I've been devoting myself to composing. For learning purposes, I listened to Japan's Hit Songs from 1950 until 1960 and I fell for them. Anyway, I'm listening to many songs. Q04) Describe your personality personally? Atsui (It's hot)! Whatever it is, I always do it passionately. Q05) Among Japanese artists, who do you like? TERIYAKI BOYZ!! And recently I like GAGLE (a hip hop trio)!! Q06) Among the 2PM members, Junsu-ssi leads in the fashion (style), what is your preferred style? Europe's brand, casual style = Euro street style. I always wear jeans or a cardigan, jacket and similar items. Q07) Smart phone application that you like? Translating application. I'm learning Japanese through this! Q08) Emoticon that you always use? Not that I don't text, but because I don't use emoticon while texting, I always get like "are you angry?". Q09) If you have a vacation, what do you want to do? If I only have a day, I want to enjoy and drink my Americano that I like while sitting down relaxed. Or spend time with my friends. If I have about 1 week.... I want to go to Switzerland! When I was younger, I saw a very beautiful picture of Switzerland. I guess that feeling flowed to my heart. I love places with a lot of nature. Q10) Recently learned or your favorite Japanese word is? I recently learned 'kashikoi desu' (intelligent/clever)! I like 'shirokuma' (white polar bear). Because memorizing them is easy, pronouncing them is easy too. Q11) What is the thing that you think 'I wont lose to others if it's this'? Doing the finger flicking hard/strong! Among 2PM I hit the strongest. It really hurts~ I trained doing that since elementary school! Q12) The latest fashion item that you bought? I bought Dr. Martens rare boots from New York. There's bling bling shining thingy glued on it. Q13) The word that is currently popular among young people in Korea? Daebak! It's similar with 'yabai' in Japanese. We can use it for a great situation and also during bad situation, the meaning fits both. Q14) The thing that you want the most currently? Superpowers. For an example, when I am driving and there's a beautiful woman, being able to stop the time and turn it back, I can see her face again! Just kidding. You know when there's a lot of things I want to do, being able to stop the time will make me able to do all of it? Q15) Deciding the style to wear at home? Q16) (Advice) Although Hip hop dance is really nice, what should be done in order to be able to dance as good as 2PM? When I entered the company in 2004, I seriously couldn't dance at all. I received lessons for it for 3 months, and it was hard to the point that I would at least have a runny nose and cry once (laughs). Take notes by illustrative memo, anyway I think the best way is to practice constantly and continuously! Q17) If we are dating Junsu-ssi, what kind of date will you take us to? I want to walk together while holding hands. And, since I'm the type that keeps up with anniversaries etc, I will do a surprise event! Lighting candles on the floor during Christmas, I will turn on a sing along with preparing a cake and a very big stuffed panda. And I want to surprise her by saying "Merry Christmas!!!" Q18) How about the room's interior? Ahh~ A common one!!! One day when I'm able to own my own house, I want to try decorating it how I want it. Because I love Rene Magritte or Nara Yoshitomo paintings, i want to hang them on my wall. Q19) What do you do at home? Play the piano, or produce songs... As expected there's a lot of music related work. Q20) A few words for Seventeen's readers? Excessive diet is not good. Eat a lot, especially my favorite Ootoro!! Please eat a lot! Act like putting on weight is nothing to care about. Ahh, but still, only to the point that your tummy doesn't stick out (laughs). Q21) List 3 of the songs that you like from your iPad. Remy Shand's Rocksteady, D'Angelo's Feel Like Makin' Love, SWV's Rain. Q22) What type of woman's fashion do you like? Although individuality is good too, to be honest my type is a woman that puts on a simple t-shirt and a pair of jeans and suits it well. And I like a woman that wears a nicely fit clothes instead of loose type of clothes. Q23) You are really good at singing, is there any secret to it? For me, I liked singing since a long time ago, I practiced really hard. I also followed the style of the singers that I like. By doing that continuously, our own style will slowly develop. Q24) Your skin complexion is nice!!! What type of method you are managing it with? Heuk? Me? Eum~ I don't do anything except washing my face and I don't put on any skin lotion. If I use them, I think some issues can occur, so I use cold water and wash my face in the morning and evening. Q25) Is there a shop in Japan that is a must go? Q26) What type of high school student were you? While in class, I secretly eat crackers or something, or chatter with friends by whispering, or secretly take a picture of a friend's face while they are sleeping.... because of those things I always get scolded by my teacher (laughs). But because I was curious about many things, I was the type to try it out. Although I was late a few times, I'm proud of the fact that I was never absent. Q27) Did you do any extra curricular? When I was a high school student, after the class ended I went home right away to compose songs, because of that I didn't get to do any extra curricular. When I was a primary school student, because I was interested in machinery, I was affiliated with broadcasting. Q28) Since when did you start composing songs? Since I was a first year student in high school. Although I went to a regular high school, I wanted to compose no matter what, so I went to a vocational school. The first song that I wrote, "Sunshine," I gave to Kan MiYoun-ssi (Korean female singer) as a gift. We sang it together as a duet. Q29) What kind of woman's behaviour do you like? A gesture when she is trying to put her hair behind her ears. I would like it if she has long hair. Q30) Cute woman vs Pretty woman. Which one is your type? All! (laughs) Just kidding. Her appearance should have her own individuality and for personality I like cute girls. 준호: Taecyeon is holding the camera..
택연: I remember our very 1st time on this program..
우영: And we performed MJ's Thriller too! 택연: So what are you guys planning to do this time? 택연: Hold it, I didn't get that..can you do it again? [REMINDER] #happyokcatday ! don't forget to add this in! http://okfession.tumblr.com/post/14152833677/edit-birthday-surprise-plan-for-taecyeon make taec on naver search! 2. Between 9PM to 10PM, do not tweet the trending word yet. If you have changed your display picture, try not to tweet jay with it as it is a "surprise"
4. Please look out for @jayparknetwork @jayparkballers @withallmyhearts @conspiracy206 FIRST trending tweet at 10PM and RT them to make it the top tweet. - Minimize your trending tweets to 1-2 tweets per minute. 6. If can, include Jay's teaser http://www.youtube.com/watch?v=PnT95LHMmVY into your trending tweets. 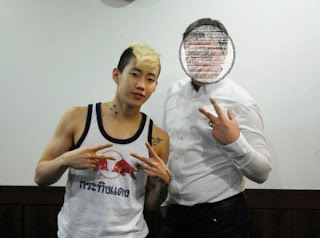 Lastly, lets all join force and JWalk with Jay by spreading the JEffect to twitterland! See you all at KST 10PM on 27th of December! LEGGO JWALKERZ!!! PLEASE DO NOT ADD/REMOVE CREDITS. YOU MAY ONLY TAKE OUT WITH CREDITS TO JAYPARK.NET. Talented artist and cool guy, Jay Park gave us the honor to meet him, answer our questions and leave a message to his French fans. On a beautiful day in September, my phone rang. On the other line was Jay who made an appointment with me at his company’s studio and after a short taxi ride here I am. There, laying down on a couch a laptop on his knees, Jay greeted me with a bright smile while offering me some pizza. Casual attitude and good mood are the order of the day. First, can you introduce yourself to our readers who don’t know you? Hello, my name is Jay Park, I’m a singer, rapper and dancer. I also write my own songs. I love Hip Hop and R&B. Having grown up in the US wasn’t it hard to leave everything and start over in Korea? Indeed it was really hard. I had never lived in Korea and I knew absolutely nothing about Korean culture or even Korean music. I hesitated a long time but my mother finally pushed me and told me it would be good for my future. The first few months were the hardest because I had never really lived away from my family. I missed them a lot especially my friends that I was used to see everyday. In addition, I didn’t know anybody in Korea and the failure to master the language didn’t help as well. We know that dance is a very important part of your life, but how did you walk into the Bboy culture? I had always loved dancing. I grew up watching Michael Jackson and Usher to name a few. I often watch performance videos and dance videos. I got interested in dancing since I was little. In junior highschool, some students from my school were bboying, so I started with them. Therefore I opened to this environment and its culture, and I fell in love without being able to stop. You said on twitter that you have made plenty of songs, when will the next album be? Can you tell us more about the movie Mr Idol in which we’ll be pleased to see you in? And how was the shooting? Any anecdote? Mr Idol is my first real film. Although the dance part was easy for me I still had a hard time with the acting part. It was pretty hard because I wasn’t at all used to it. I had to try several times to speak in a correct tone and be comfortable. On top of that, having to wait several hours to shoot a scene and then wait again and so on, it’s pretty unsettling but it was nice. Acting is fun and the rest of the cast were really nice to me and helped me a lot. The director was giving me tips as well. Do you plan to make other movies in the future? Of course! I’ve received few offers which we are reviewing right now but I’m very interested. Among Korean artists, is there anyone you are a fan of? Or anyone you are really close to? I really like Dynamic Duo, Drunken Tiger JK and a lot of others hip hop artists. I also like 2NE1 for their music and also for their stage presence. There is also the group called Secret whom the members and songs are really cute. I’m closer to people from underground stage, Bboys, rappers (like Dok2) and Boom. Lately, thanks to the show Immortal Song I got closer to G.O from MBLAQ and Kyuhyun from Super Junior. If you could work with one or more artists of your choice, who will you choose? I think I would choose Usher. I love his music and he’s a big star. I discovered him when I was in elementary school and ever since then I’m a fan. I once went to his concert and met him backstage after his performance unfortunately he had to leave quickly to go back to work. We know that one of your dreams is to be known in the US? Do you intend to start as a singer rather than an actor? I would love to make a movie in Hollywood although currently it seems like a crazy dream. I grew up listening to American music and have been following American artist. I think thanks to the culture I grew up with I could do well in the American entertainment industry. In my opinion, I’ll have more chances to succeed through music rather than acting. To have such a perfect body, how many hours per day do you work out? You don’t have a little secret exercise to share so I can have the same (body)? (Laughs). There is no secret. You have to exercise everyday. Don’t train yourself too late at night too because it’s not good for your body. These days with my arm injury, I cannot push too hard on my arm so I run everyday instead. (Laughs.) Yes it’s hard but you’ve got to stay motivated. The motivation is the hardest part. We were able to catch a sight of your tattoos through pictures but exactly how many tattoos do you have? Which one or ones are the most important for you? And why? I don’t even know. I have so many that I lost count. The most important ones for me, I will say the one on my chest and the ‘Art of Movement’ one. I’ve to say that Art of Movement is a very important part of me. You know I’m a bboy and it’s my crew. I grew up with them. They are like members of my family. For the one on my chest it represents my real family which of course is also very important for me. Can you tell us more about your crew Art of Movement and about the relationship that bands you together? I knew my crew since the beginning of highschool. Basically it’s them who brought me into the Bboying world. Thanks to them I stayed motivated just watching their progress and their passion. When I am lucky enough to go on stage to perform I want to share it with my friends. There is Cha Cha, a producer that I work a lot with and Daniel Jerome who is a very talented Hip Hop choreographer and who’s dance often with me. It’s really a very talented crew. Can you talk about your next projects? Ohh, I have a lot of projects. After the release of my album I’ve an audition for a new movie. I should also make an Asia tour. Then I have some surprises but you have to be patient. In addition to handsome, you are a singer, a rapper, a dancer and an actor. All of that with talent. To reassure us, the normal guys, is there anything you can’t do? Or any imperfection? I know how to do a lot of things but I don’t think that there is one thing I’m very good at. I don’t know how to cook. I used to be a good basketball player but as it’s been a while since I played I think I’ve lost everything. I’m not very good with video games. And Math too. It’s just not my thing. It doesn’t serve me much but I think it’s a good skill to have. When will we get a fanmeet in France? You know I would really love to go France. I’ve never been in Europe. I would like to try the food and discover the culture of different countries. Moreover I know that there is a big fanbase in Europe. So if one day there is an opportunity it’ll be a pleasure. Lastly, can you say something to French Jwalkerz? Bonjour, thank you very much for your support although we’ve never seen each other before. I would really love to meet you one day and go on stage for you, see your face sand try to make you happy. After having a good time, I left Jay to his work. Please note that in spite of his busy schedules he still found the time to meet me, answer my questions and pleased the French fans. A big thanks to him for this. "Thai Prince" Nichkhun (2PM) is one of the most popular stars in Korea, but to the Thai people he has a different meaning. In Korea he symbolises a "Korean Dream" success story as an entertainer, but in Thailand he's also an "educated and well-brought up model". Nichkhun's popularity and attractive points are down to his mother's method of education. The fact that Nichkhun is the second of 4 siblings has become well-known. As well as having one older brother, he also has two younger sisters; his brother Nichan is working with VJ in Thailand, and his first younger sister Yanin is working as a model. They are known and envied by their fans in Korea as having "superior genes". But in Thailand there's another aspect to these siblings' reputation; they are all attractive and polite to other people. Anyone who's come into contact with them after their overseas activities can say that they are always "good-natured and kind". This is the reason that they are attracting the attention of mothers in Thailand; 3 of the siblings are in the entertainment industry, and so the secret of how they were raised so well has become a talking point. Thailand's tourist authority officials said that "When raising children, natural ability and effort varies so there will always be differences between them. But even though they are different, Nichkhun and his siblings are all involved with show business. This is becoming an example for the mothers of Thailand". It is also possible to see the reason why, for the various product CFs that Nichkhun has modelled for within Thailand, stock prices have risen; his handsome appearance and his situation as a successful foreign singer in Korea. If you walk around downtown Bangkok, "advertisement model" Nichkhun's image is easy to find. Billboards with Nichkhun holding a basket filled with chicken broth products and smiling widely catch your eye here and there on the streets. These billboards are also brightly lit at night so can be seen 24 hours a day. Global brand Samsung are unrolling marketing plans appointing Nichkhun as the model for their products. A life-size cardboard cut-out of Nichkhun promoting Samsung cameras stands in the electronics department of the large mall "Siam Paragon Department Store" on Bangkok's main shopping street. And Bangkok's waxwork museum "Madam Tussauds" is also displaying a waxwork of Nichkhun. "Madam Tussauds" is the biggest waxwork museum chain in the world, with exhibitions in not only Bangkok but London, New York, Hollywood, LA, Amsterdam, Hong Kong, Shanghai, Washington DC, and Berlin. Nichkhun is now rubbing shoulders with stars already in the museum such as Michael Jackson, Nicole Kidman, Beyonce, Angelina Jolie, Brad Pitt, George Clooney, and Jackie Chan. He's also only the second Hallyu star to have a waxwork made of him, after Bae Yong-Joon. Meeting Nichkhun here and there on the streets of Bangkok as a Korean traveler is a very refreshing experience. [Photos] Meeting the Thai-born idol star Nichkhun on the streets of Bangkok is very easy. The waxwork of Nichkhun at "Madame Tussauds" with a guide posing next to it, the billboard advertising the waxwork at the museum. Beneath that is shoppers taking pictures of the cardboard cut-out of Nichkhun advertising Samsung Cameras in Bangkok's Siam Paragon Department Store's electronics section, and the billboard of Nichkhun that you can find all over downtown. 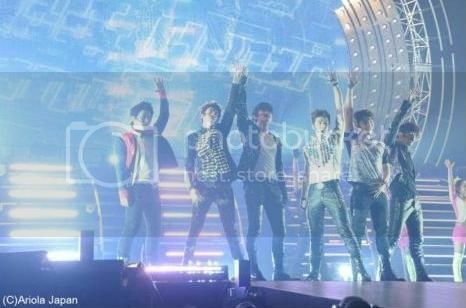 Korean idol group 2PM concluded their “2PM Arena Tour 2011 ‘Republic of 2PM’” at the Nippon Budokan on December 21st. Touring 5 locations with a total of 9 performances, 2PM reached out to a total of 100,000 fans. During the final encore, 10,000 fans sang “Hanarete itemo” surprising the boys. 2PM thanked the audience with teary eyes by saying, “We were deeply moved by everyone’s surprise event“. 2PM is already scheduled to have a 6 day performance at Nippon Budokan. 2PM performed a various array of their hit tracks. They started out with upbeat dance numbers like “HOT” and “Hands Up” followed by their first Japanese single, “Take Off“. They even performed their top Korean hits such as “10 out of 10” as well as their popular necktie dance in “I’m Your Man“. For the solo performances, audience members got a glimpse of the many talents the boys of 2PM have. Junho and Wooyoung performed together where Junho wrote the song, while Wooyoung choreographed and designed their outfits. There was also a dance number performed by Taecyeon and Nichkhun. Chansung, who is currently starring in the hit TBS drama ‘Kaito Royale‘ performed an impressive sword battle. Junsu also showcased his artistic side by performing an original song. Oricon has revealed its sales rankings for 2011, and in the new artist category, Kis-My-Ft2 ranked #1 at approximately 1.47 billion yen. They are the first Johnny's artist to become the #1 new artist on the yearly charts since KAT-TUN in 2006 (6.66 billion yen). Kis-My-Ft2 released their debut single “Everybody Go” in August, and it ranked #10 for the year at 442,000 copies sold. Their two DVDs released in October achieved a total of approximately 212,000 copies sold. In total, these three works sold 654,000 copies for 1.47 billion yen in sales. The #2 and #3 new artists were Korean groups 2PM (990 million yen) and SHINee (870 million yen), respectively. Nichkhun to have his wax-figure displayed as the very first K-pop singer. - To enter the Madame Tussaud’s for the very first time as a K-pop singer. Wax-figure is displayed at Bangkok branch since the end of November. - He is the second one to have his wax-figure displayed as a Korean artist, after Yong Jun Bae. - Madame Tussaud’s having the endless visits from Bangkok tourists. For the first time as the K-pop artist, Nichkhun entered the Madame Tussaud’s, the biggest wax-figure museum in the world, to have his wax-figure displayed side by side with other famous people from around the world. JYP Entertainment has stated on December 16th that “Nichkhun, the member of 2PM, has his wax-figure displayed at the Madame Tussaud’s, Bangkok, since November 29th. ”Madame Tussaud’s is the wax-figure museum with the biggest scale in the world. It has world regional branches in Hollywood, Las Vegas, New York, Washington D.C., Amsterdam, Berlin, Black Pool, London, Vienna, Bangkok, Hong Kong, Shanghai, and Sydney, etc. The museum possesses various world stars’ figures such as of Beyonce, Angelina Jolie, Brad Pitt, Barack Obama, George Clooney, and Jackie Chan. Wax figures of the Madame Tussaud’s cost more than USD150,000 for each. The audience is impressed and letting out their exclamation when seeing the figures due to its accurate and detailed description. As it is, Madame Tussaud’s stands as the attractive spot in each region they are built in. Nichkhun’s figures are produced and displayed as the very first K-Pop artist in Madame Tussaud’s. This is the second figure displayed as a Korean artist after Yong Jun Bae’s wax figure displayed in Madame Tussaud’s, Hong Kong. For the wax-figure production of Madame Tussaud’s, Nichkhun has attended the local production worksite at Bangkok last July. At the launching day, millions of fans, as well as Nichkhun’s family members, have gathered to see Nichkhun’s wax-figure. Having been unable to attend the launching ceremony due to 2PM’s schedule in Japan, it’s been said that Nichkhun has expressed his gratitude via a video clip. JYP Entertainment said that “While K-pop is so loved worldwide, it is very meaningful to have 2PM’s member, Nichkhun, to stand side by side with other famous people around the world at Madame Tussaud’s”. Continued speech from JYP stated that “with the display at Madame Tussaud’s, JYP has earned the opportunity to indirectly reach out to fans in Asia, and JYP is grateful to have such a chance that has been achieved with the fans who love 2PM and Nichkhun”. 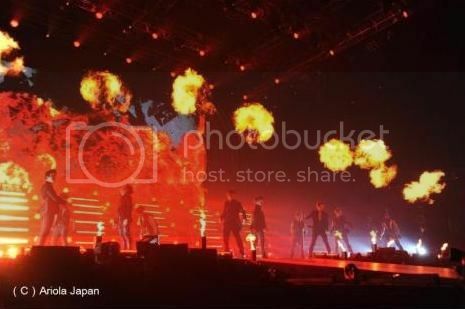 Meanwhile, connecting on from the Tokyo concert that has been done on December 14th, with 17,000 fans in scale, 2PM is scheduled to continue the Arena Tour Concert until the end of December. They are expected to return to Korea on December 25th.